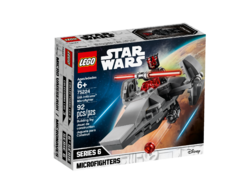 75224 Sith Infiltrator Microfighter is a Star Wars set released in 2019. 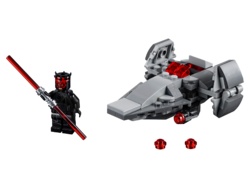 Bring a smile to any LEGO® Star Wars™ fan with Darth Maul’s Sith Infiltrator Microfighter with firing stud shooters. LEGO® Star Wars™ ship measures over 1” (4cm) high, 3” (9cm) long and 2” (7cm) wide. Facts about "75224 Sith Infiltrator Microfighter"